Small balcony decoration requires maximum rationalization. On the balcony set just furniture that is necessary, a coffee table, a few chairs and greenery. No matter how small space your balcony may be, you can still decorate it beautifully and create a comfortable and relaxing place. There are charming pieces of furniture like folding tables and chairs, hanging planters, green walls, rugs and many more. Lush flowers, vertical pot as well as comfortable garden benches and table can make your small balcony garden even more lively. Whether you live in an apartment with a small balcony or you reside in a home with a compact second floor outdoor space. 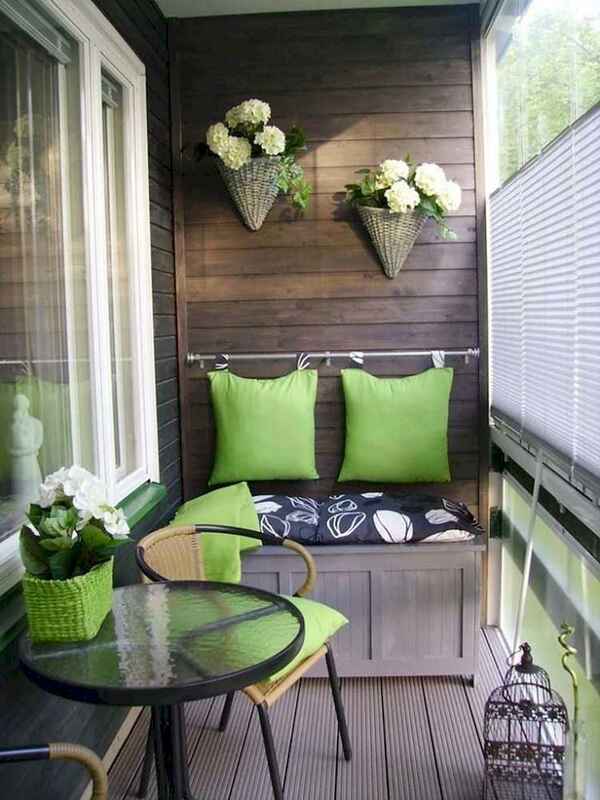 There are 65 pictures below will give you a slew of small balcony decorating ideas for you try out on your own.